Selling products online – having to source the product, fulfil the order, ship it, deal with returns, etc. – puts Ecommerce stores in a different position than B2B, SaaS, or consumer apps, especially when it comes to customer service. 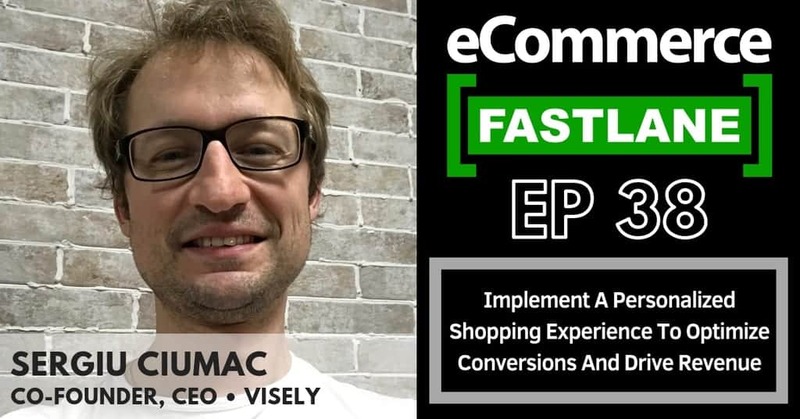 It’s time for someone to take a deep dive into the customer service challenges and opportunities specific to the Ecommerce industry. Download The State of Ecommerce Customer Service Industry Report for 2019. 61% of Ecommerce stores are currently offering on-site chat. You can see that most customer service teams focus on email, and many integrate social media channels and comment moderation. Only 16% of companies offer SMS messaging right now. Expect that to double in 2019. 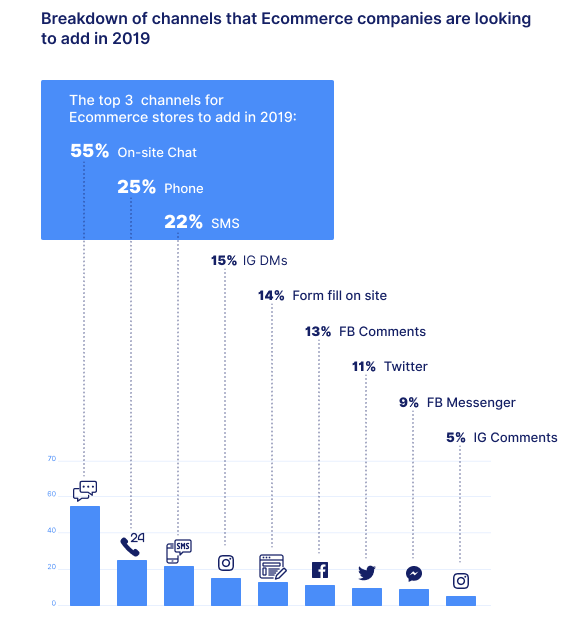 The top 3 channels for Ecommerce stores to add in 2019: On-site Chat, SMS, and Phone. We see a huge rush towards on-site chat, but also have extremely high expectations for SMS and direct messaging. In the near future, Facebook Messenger, WhatsApp and Instagram DM’s will merge into one customer service channel. We expect very high adoption of that channel. It will become a mandatory component of Ecommerce customer service. 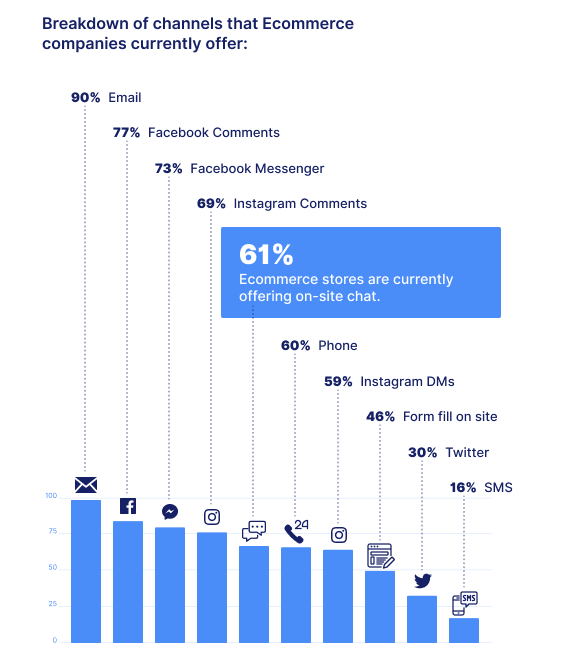 55% of Ecommerce stores currently not offering chat are planning to offer it in 2019. 60% of companies already offer on-site chat. When you do the math, that means an additional 21% of all companies will be offering on-site chat in 2019. On-site chat will be one of the fastest growing channels of 2019. On-site chat provides a competitive advantage that helps you close sales and resolve post-purchase issues before orders get pushed to fulfilment. As we witness the fall of dropshipping as a business model, millions of consumers are feeling increasingly cautious of lesser known Ecommerce brands. To prove your brand has real people behind it, you can add chat. That simple act of being available to talk can build the trust needed to get a customer to complete a transaction. You need someone available to respond quickly. This means a real-time agent, who can answer a range of diverse inquiries, and knows a lot about the products you sell. That agent needs reasonable volume in order to be worth the time, but give them too much volume and you’ll have poor response time (and need a second rep). This is your cost of chat. On-site chat allows you to answer sales objections and close more customers, thus increasing your conversion rate and lowering your cost per acquisition. Providing, and staffing for, on-site chat should lower your first response time. A key component to increasing customer satisfaction and retention. On-site chat teaches you about what information is missing from your product detail page. It’s your best tool for customer development, which leads to updating the page with new information, improving macros, and understanding the reasons the customer is buying. It may also lead you into new product development opportunities. On-site chat allows you to take action on cancelled orders, refunds, shipping errors, and duplicate orders faster than it takes your fulfilment center to fulfil. This can save you big money in shipping costs and returns. Key Takeaway: If you don’t install on-site chat as a sales and support channel in 2019, you will be behind the market trend and behind your competition. 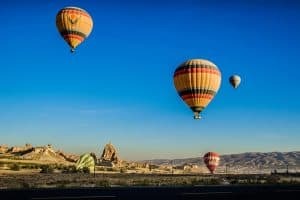 Question: What are the emerging customer service channels of 2019? 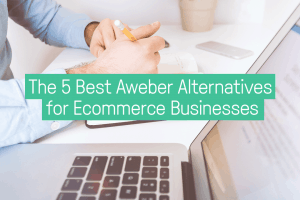 Where should Ecommerce companies be going next? 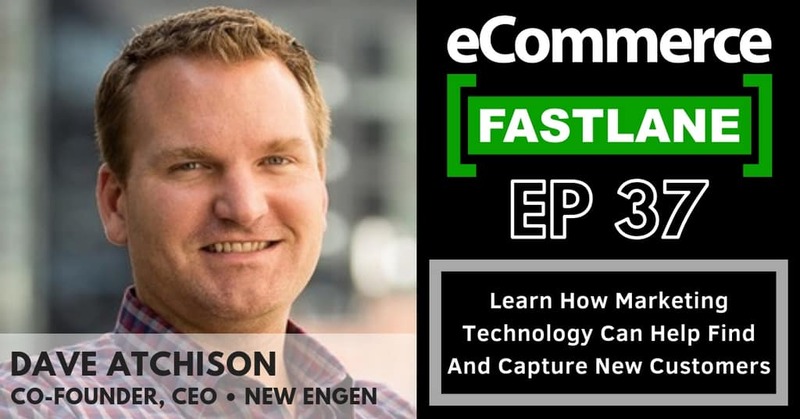 “2019 will be the year Ecommerce companies embrace [on-site] chat as a key customer service channel. We’ll see the continued growth of proprietary web and in-app messengers at the expense of live session-based chat and email. In the growing business messaging space, WhatsApp will be the story of 2019 outside of North America and Asia, while Apple Business Chat should take a dominant position in western markets among iOS users once it becomes generally available. 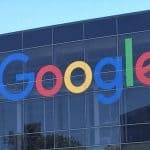 But look out for a sneak attack from Facebook with Instagram business messaging, which can quickly become the #1 Ecommerce channel for millennials, and maybe Google will pull a rabbit out of its hat with either Google My Business Messaging or RCS – [Rich Communications Services] – the protocol that will replace SMS (text). On-site chat is different than installing an on-site Messenger chat. In my opinion, it is better to own that customer relationship, rather than force them to a platform that they may not use (Facebook / Messenger), and rely on Facebook to keep the conversation. With recent changes in how brands will be able to communicate on Messenger, namely restrictions in how you will be able to follow up and broadcast to your Messenger audience, a native chat app is clearly the way to go. Question: What’s in store for Messenger marketing in 2019? 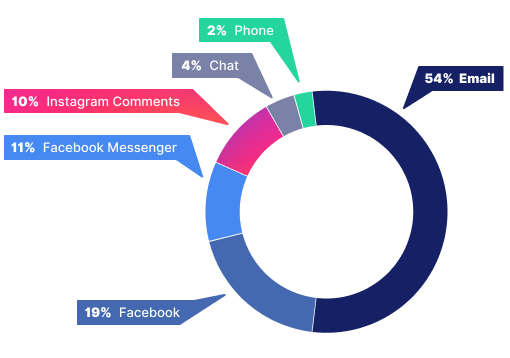 “Messenger marketing already accounts for over 5-10% of many brands’ revenue, and in 2019 this is only going to grow. Ecommerce stores using SMS will double in 2019. Next on the fastest growing channel of 2019, we have SMS, which we believe is another crucial channel for communicating, especially with existing customers. The problem: When you SMS someone, they sometimes respond, which means you need a support agent to engage on that channel. Gorgias handles this through integrations with partners like IMpower, where the SMS is brought directly into the helpdesk, tied to the customer data, and can be responded to without a hassle. Key Takeaway: SMS will be a crucial channel for cutting-edge brands in 2019, and the investment can easily pay for itself by reducing customer support inquiries. Question: What is the secret to good SMS customer service? 3. Use your emojis. Emojis that express feelings help humanize the interaction and make it more authentic. IMpower data shows that the genuine connection created when emojis are used (appropriately), leads to higher customer satisfaction scores and an increase in repeat purchases. 25% of Ecommerce stores are looking to add phone support in 2019. With 60% of Ecommerce stores currently offering phone support, we’re looking at phone being a (nearly) universally adopted channel in 2019. Phone support is even faster and more personal than on-site chat, but it’s significantly less prefered, especially by millenial and younger audiences. We’ve seen some brands offer a phone number that only goes to voicemail, then turn that voicemail into a support ticket. This is not phone support. If you’re a brand passionate about having a positive customer experience, then you need to have a well-trained live representative on the other side of the phone, ready to handle the customers needs. Key Takeaway: Phone support will be nearly as prevalent as social media support by the end of 2019. Question: How does an Ecommerce store best prepare for adding phone support? Only 35% of brands support Twitter. 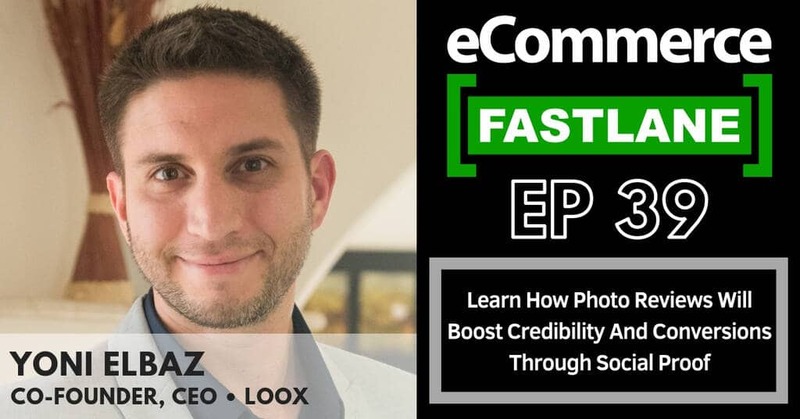 We’ve known for a while that Twitter is an underserved channel for Ecommerce, with most responses being routed through Facebook and Instagram. But I’m worried about the 65% of brands not monitoring the channel at all. For larger brands, like airlines, Twitter is a major customer service channel. While it isn’t as important in Ecommerce, it’s important to respond to your customers on every channel. Key Takeaway: Don’t forget to look for customer service inquiries on Twitter native and DM. Sidenote: Unfortunately, Instagram still does not allow API access to their Direct Messages, which means 69% of brands are continuing to suffer by having to do native response, often on iPads or their own cell phones. It’s painful. We look forward to integrating with Instagram Direct Messages as soon as the API becomes available. [Warning: Your CEO is half as satisfied with your productivity as you are. 35% of CEOs gave their customer service performance score a 3 out of 5 or lower, whereas only 17% of heads of customer service managers did. Key Takeways: Agree on the performance metrics and limitation/budget of the department and present concise reports to your manager on a regular basis. If you’re the manager (CEO, COO, or Head of Ecommerce typically), it’s your job to set this up and agree on it with your head of customer service. Agreeing on KPIs, budget, and monthly reports are the boring little secret to success in Customer Service. [Warning: Customer Service Managers] Marketing is 3x less satisfied with your productivity than you are. 51% of marketers gave their customer service department a 3 or lower, which is 3x more than customer service managers. This leads me to believe there needs to be stronger communication between departments. Coming from experience, marketing’s job tends to be to run campaigns, which brings confusion to your audience and leads to increased customer service inquiries. Marketing gets frustrated when Customer Service doesn’t resolve those issues quickly. Customer Service gets frustrated that marketing flooded them with tickets and didn’t give them a clear way to respond. Key Takeaways: The head of marketing and head of customer service need to meet weekly. Create a templated form for each marketing campaign/initiative that explains all details of the campaign to Customer Service and be sure to give them that before each campaign launches, discuss fringe cases in your 1-1’s. If you’re doing over 5,000 tickets a month, you may want to upgrade to Shopify Plus. Every company needs to weigh the pros and cons, but it seems like most Shopify stores upgrade to Plus right around the 5,000 ticket/month mark. Most likely this is the point of scale where it will save you more money in transaction fees than it costs in the monthly premium. Want help determining what is best for your store? We can put you in touch with a Shopify Plus representative to get more information. Simply email partners@gorgias.io. You’re 5x more likely to feel creative if you’re a macro and automation master. 65% of those that are 5 / 5 stars for automation are also 5 out of 5 stars for creativity. That’s nearly 5 times more than those who rated themselves 4, 3, or 2. Because when you’re automating more, you actually have the time to spend creating the macro responses. It doesn’t matter if the response is the same to each customer because it is a creative response to that specific issue. Interestingly enough, those that rated themselves a 1 on automation were more likely to give themselves a 5 on creativity. Apparently these are the companies that prefer a custom message every time, and pride themselves on unique responses. I’m all for having a human touch, but a custom response every time will cause more problems than it solves. Key Takeaway: Automation is not taking away from creativity. Invest the upfront time in better macros and better customer service automation. Need help? Gorgias customers can schedule a quick 15 minute call with our in-house automation expert. Just send us a chat the next time you login. Less automation leads to 2x more dissatisfaction with response time. This shouldn’t be a surprise, but it is good to have it backed by the data. If a company gives itself a 1 or 2 on automation, it is twice more likely to give itself a low score on response time. If you have great automation in place you are 35% more likely to be satisfied with your response time. Key Takeaway: If you care about response time, and you should care, then you absolutely must invest in understanding how to automate responses, how to create macros for common situations, and you must keep an organized helpdesk with tags and rules. When was the last time you went through your macros to delete old ones? Keeping your account clean helps with speed and efficiency. Question: What is the relationship between customer satisfaction and retention? 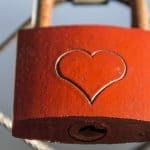 “Customer retention and customer satisfaction are inherently connected. You can strengthen both your retention and customer satisfaction by intentionally seeking to exceed every customer’s expectations with things like loyalty rewards, VIP tiers, and referral programs. 85% of Ecommerce stores doing 5,000+ orders a month still don’t have 24/7 support. I find this one shocking! At this volume, you’re certainly getting enough tickets around the clock to hire, or at least spread out/stagger your support team. Key Takeaway: Consider hiring agents from different time zones to better serve the off hours. Or use a service like Simplr to balance round-the-clock support with in-house support. Question: What are the signs that it’s time to outsource customer service? “Consider outsourcing customer service when your in-house CS team can’t take vacations. We’ve heard from countless CS managers who realized that weekend and overnight support was taking over their lives. And we don’t blame them – 24/7 coverage is critical in today’s on-demand consumer market, so the pressure is real. When CS team members have to rely on one another to cover shifts, taking a vacation feels like a direct blow to the team. 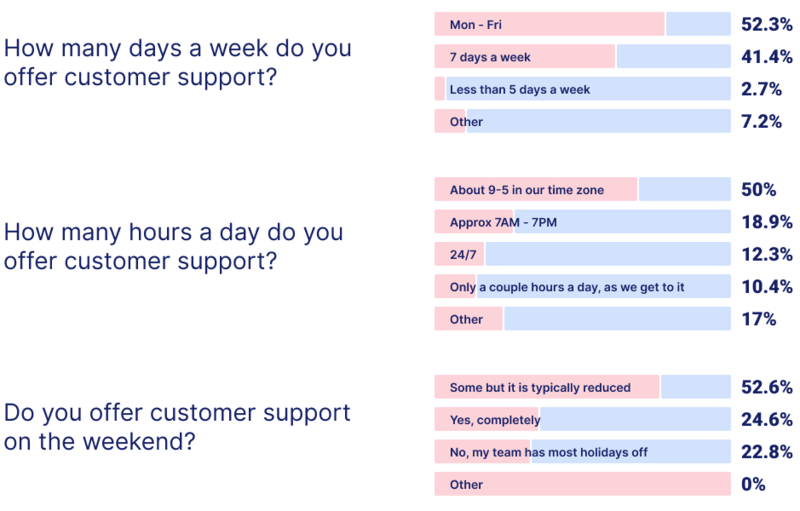 52% of Ecommerce customer service teams operate Mon – Fri only, and only 12% are available around the clock, despite their Ecommerce store being open 24/7. Invest today in 24/7 customer service. Your store is open 24/7, why isn’t your customer service? This will keep first response time down, and become a talking point for your customers as they share about your product with their friends. Train your support agents to answer on-site chat questions, and take proactive and preventative measures for customer service, so that even if you’re “over-investing” today, they have ancillary work to do that will help you scale your business. Key takeaway: Investing in 24/7 customer service early can drive virality and growth. It’s an investment, not a cost. 79% of Ecommerce stores do not outsource their customer service. This is surprisingly good news, in my opinion. Controlling the customer experience is always going to be the core competency of the company and hiring an outsourced agency partner can put that at risk. That being said, I feel a blended model is best, specifically to keep risk low while dealing with times of high demand. 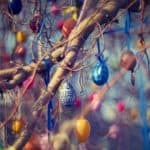 And in order to pull that off, you need robust training documentation, a great customer service manager, and trusted agency partners you can use to scale your resources based on the ebbs and flows of your business – like holiday rushes. Key Takeaway: Don’t be afraid to outsource some customer support resources, but never outsource the relationship with the customer. You need someone to ensure quality control and that the brand is being presented in the way the company wants. 72% of Ecommerce stores do not know the cost of a support ticket. So it’s a bit surprising to think that most brands aren’t tracking their cost per ticket, or cost per order. 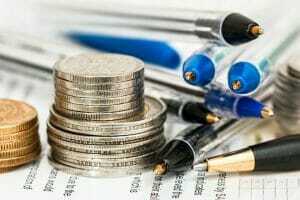 This is a metric that needs to be well understood and baked into your margin, so that you can properly calculate a profitable price point, and predict the revenue and growth of your store. Key Takeaway: I wrote an entire blog post to help you calculate the cost of customer service and understand these metrics better. Unfortunately, this isn’t something Gorgias can calculate for you, because it relies on understanding your employee salaries and other costs far outside the scope of how we help you. 8% of Ecommerce stores are mainly a subscription product, with 17% getting about half of their revenue through subscriptions. And 75% not using any subscriptions. Subscriptions are a hot topic right now. Building recurring revenue into an Ecommerce store is a great way to strengthen the brand relationship, increase Lifetime Value, and really take a business to the next level. But not all businesses make sense to sell their products on a recurring basis. And the ones that offer subscriptions on top of regular product purchases typically see extremely high churn, increased customer service issues, and may even leave their customers worse off than before. I’ve always been taught that revenue comes from value, and it won’t work the other way around. If you build your business on that mantra, I believe you can see success with a recurring subscription model. Question: What’s the most important component for subscription Ecommerce companies to get right when it comes to customer service? Where are most companies missing the mark? The most important component for customer service teams is understanding who the subscriber is. Knowing the difference between a subscriber purchasing for the first time, a consistent buyer, or an inactive returning customer should differentiate the type of customer service required. For example, if your subscriber is frustrated because they are missing a piece of their subscription, it may be an opportunity to send a replacement product plus additional surprises to get them trying more of your products. Alternatively, if someone emails in asking to cancel, your support team should have options to offer a discount or win them back. Preventative customer service is the #1 issue facing most Ecommerce teams, with 18.5% of teams being focused on it right now. I love the proactive approach and think there is a lot left to be desired in preventative customer service strategies. Most preventative customer service strategies are about customer education – getting them the right information previous to a predictable issue that may arise. What are you doing to educate your customer? Support rep benchmark: 980 tickets / agent / month. Across our 30 largest customers, we see a median of 980 tickets handled by an account rep per month. That is 49 tickets a day. This is also likely a low-ball estimate because we do have many accounts where the agent is not anywhere near “maxed out” on tickets. (Ex. accounts with under 30 tickets a day, or accounts that don’t have 1 dedicated rep, for example). Automation is only going to get stronger in the coming years. It’s our mission at Gorgias to see this 980 tickets/month/rep rise to 1980, 10,000 and even higher. Takeaway: Hold your level 1 support agent accountable for closing 980 tickets a month. Naturally, this number will change from business to business and role to role. As tickets get more complicated, they can take longer to respond. As your ticket count grows, consider breaking out “level 2” tickets, which are complex inquiries that need to be escalated to managers or discussed inter-departmentally. This helps with accountability at scale. First response time increases by 210% after Black Friday / Cyber Monday. Average Response Time: 5hrs 13mins. High Response Time: 10hrs 24mins – December. We’ve followed this statistic since the start of Gorgias, and without fail we see a rush of tickets during and right after Black Friday/Cyber Monday. Ecommerce brands are not staffing appropriately for this time of year, and it’s costing them real money. Key Takeaway: Prepare better for the holiday rush. Consider hiring temporary workers or outsourcing just for December, to cover the volume. Keeping customers happy is worth the extra investment. Average 1.76 responses to close a ticket for an Ecommerce store. Across 780 accounts we found an average number of touches required to close a ticket to be 1.76 responses. This is significantly different than other industries, which on average about 8 touches to close. Yet another reason we need a report specific to our industry, because Ecommerce has significantly different problems. Most of our inquiries are relatively simple, and fairly repetitive. While this varies from store to store, especially when you may need to request additional information, such as a shoe size, or alternative product replacement, the goal should always be to 1-touch close an Ecommerce customer support ticket. I’ve seen stores that make the refund process long and laborious, asking for pictures of the damaged item, pictures of the box the product came in, etc. This is a bad practice that slows down resolution time and leaves customers unhappy. Key Takeaway: Figure out how to streamline the return or exchange process so that the customer knows everything they have to do ahead of time, and they are coming to you with all the information you need to resolve their ticket in one touch. And this isn’t to say that multiple touches are inherently bad, but a good customer support manager needs to build the processes to avoid repetitive multiple touch problems. Question: Where do you think most eCommerce stores are missing opportunity, when it comes to their customer service efforts? Brands should be more proactive in getting in front of customer service issues by thinking beyond their digital interaction and creating a memorable post-purchase experience. Also, be prompt and fair on returns. Not much will turn a customer away faster and spread more negativity on your brand than if you treat a customer unfairly on returns. Ecommerce stores get 36% more efficient at customer service as they grow. Small Stores: Average 1.1 support ticket / $100 Revenue. Large Stores: Average .4 support tickets / $100 Revenue. As a company grows, it gains in customer service efficiency. Being a larger company comes with many perks, especially when it comes to support. Not understand their product problems/solutions as well. Have more sourcing issues (still trying to find the right supplier). Not have invested fully in FAQs, enhanced product detail pages, activation sequences, and other ticket mitigation strategies. 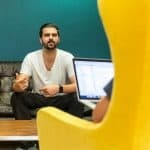 Knowing this benchmark will help you understand how you are doing from a ticket mitigation standpoint and will help you compute the cost of customer service from a margin perspective. Key Takeaway: If you’re getting more support tickets per month, it may be time to invest in some ticket mitigation strategies, such as improving your FAQ page, sending out more information via an onboarding email sequence, or producing a video for customers to walk themselves through using your product for the first time. Question: What can smaller Ecommerce stores do better in order to avoid support tickets? 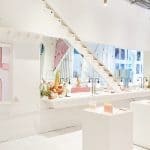 “What we’ve seen at Sourcify is that smaller store owners typically don’t have the negotiation power that bigger brands have when producing their products. This leads to factories rushing and cutting corners on their orders and ultimately shipping the store owner a box containing products at various levels of quality. Email “market share” is going to shrink. Right now email occupies 54% of all tickets running through the Gorgias helpdesk. We expect this to shrink as SMS, phone,and on-site chat increase. We will also see WhatsApp and Instagram DMs enter the space in 2019. Key takeaway: Customer Service is becoming increasingly fragmented and it is more important than ever to have a helpdesk that can handle all of the support channels in one place. My biggest takeaway is that customer service teams are still falling short in providing a great 24/7 experience, especially around holidays. My advice is to invest more in customer service now, and reap the rewards of positive customer word of mouth and referrals in the future. This article was originally published by our friends at Gorgias.